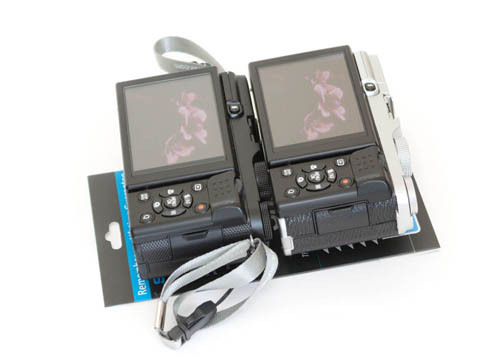 I wanted to buy a couple of screen protectors for my Fuji X-M1 and X-A1 to prevent the cameras' screens from getting scratched. 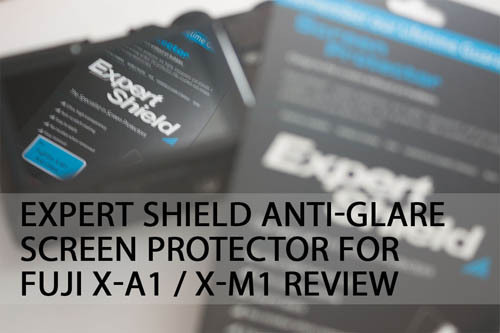 After looking at various products, reading forum messages, and user reviews, I settled on the Expert Shield screen protectors. They are quite pricey compared to many other screen protectors, but get a lot of good reviews. 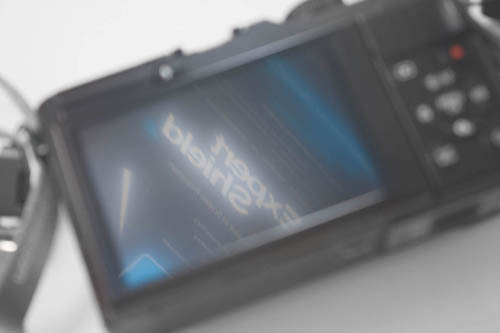 They are also one of only a few manufacturers producing screen protectors specially cut to size to fit the screen of the Fuji X-M1 / X-A1. I now have a couple of the anti-glare Expert Shield screen protectors, and my Fuji X-M1 has arrived back from its conversion to full spectrum. (Sadly it seems to have picked up a light scratch on the screen during the conversion process, which would have been prevented if I'd fitted it with a screen protector before sending it off). This gave me a good chance to compare one camera with the screen protector applied against the other without. Note that this photo was taken before applying the screen protector. The triple reflection in the screen is because it is reflecting a reflection from a back silvered mirror. I purchased the screen protectors through the UK Expert Shield website for £7.95 each. Postage is £1.49, or free if your order is over £10. Since I ordered two, my order qualified for free postage. They were shipped the same day by 1st class post, and arrived the next day. 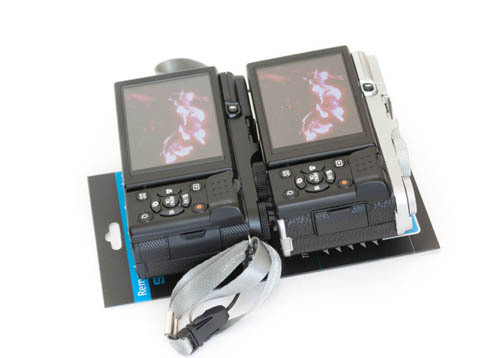 I did have to wait a while before I could order though, as the anti-glare versions for the X-M1 were out of stock for a while. 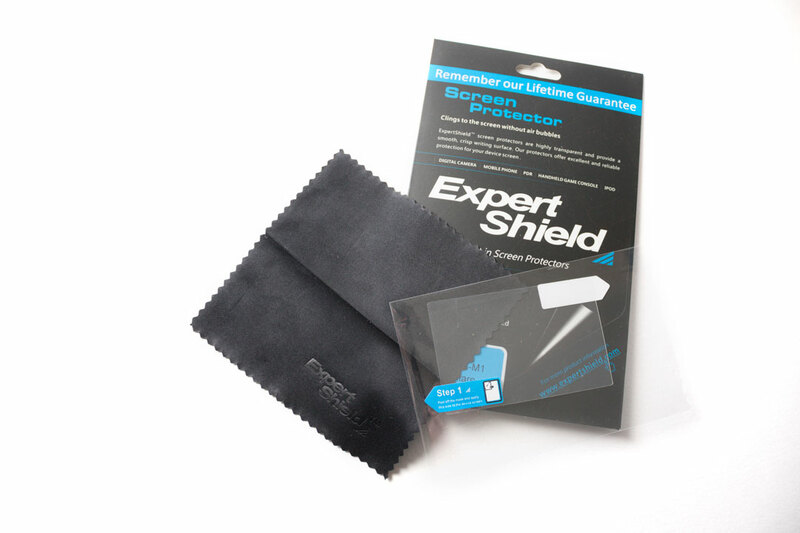 The screen protectors come packaged in a cardboard sleeve, which also contains a small soft cloth. On the back of the cardboard sleeve are detailed instructions on applying the screen protector. I found the application of the screen protector quite tricky. I kept getting dust stuck on the bottom of it. Thankfully the instructions are quite clear on how to deal with this problem - use a piece of sellotape to stick up the dust spots. After a few tries I did manage to get the protector down with no dust spots. The anti-glare screen protector has a matte surface, and is quite visibly less glossy than the bare screen. I wouldn't say it really reduces reflections compared to the bare screen. But it does make the reflections much softer and more diffused, which in my opinion makes them less obtrusive. Fuji X-A1 screen after applying anti-glare screen protector. Compare to image above and note how much softer and more diffused the reflection is. Fuji X-A1 with Expert Shield anti-glare screen protector (left) compared to X-M1 screen with no screen protector (right). The softer reflection on the anti-glare protected screen is not as distracting. In bright sunlight I would say the screen is just as usable (or unusable, depending on your angle from the sun) with the screen protector as it is without it. Fuji X-A1 with Expert Shield anti-glare screen protector (left) compared to X-M1 screen with no screen protector (right) glare reflection test. 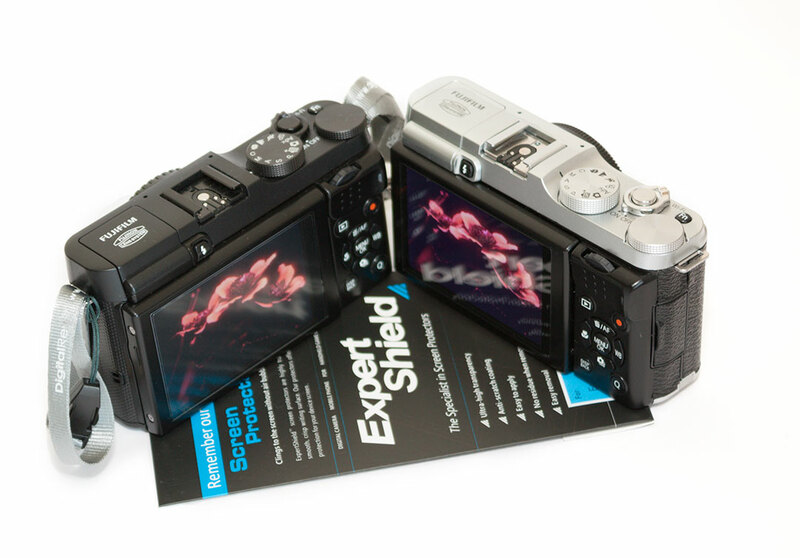 Fuji X-A1 with Expert Shield anti-glare screen protector (left) compared to X-M1 screen with no screen protector (right) glare reflection test. Monitor sunlight mode option turned on in the camera settings. The matte effect of the anti-glare screen protector does affect the picture on the screen, if only by a small amount. It is a bit like having an anti-aliasing filter in front of your screen. I would rather not have this effect, but it is only quite minor. I suspect that the issue is present only with the anti-glare screen protectors. 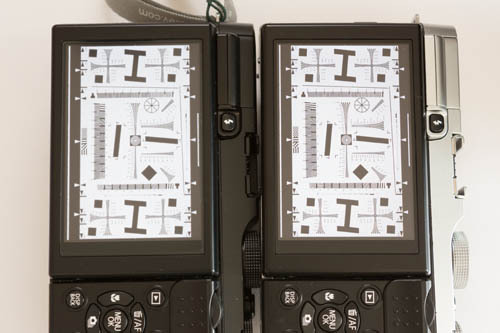 Fuji X-A1 with Expert Shield anti-glare screen protector (left) compared to X-M1 screen with no screen protector (right) resolution test. Cameras displaying resolution chart from Cornell University. Click for original size image. I haven't purposefully tried scratching my screen with the screen protector applied. But it seems unlikely that something would cut through the screen protector to the screen unless you're carrying your camera in a bag full of knives and skewers. I'll see how well it works in practice and hopefully update this post in a few weeks or a couple of months to confirm whether the screen protectors have remained scratch free or not. One other thing worth saying is that Expert Shield offer a lifetime guarantee. If the screen protector becomes scratched, you can send it back (with original packing and fee to cover replacement P&P), and they'll send you a replacement.